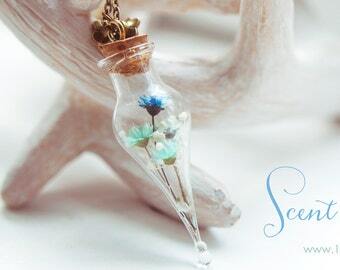 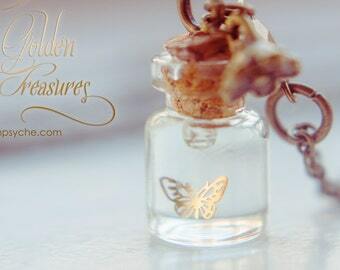 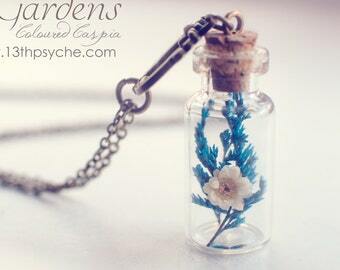 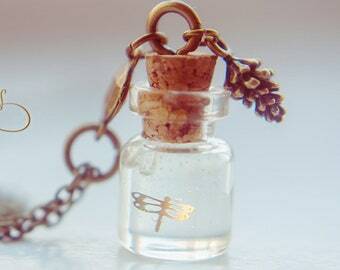 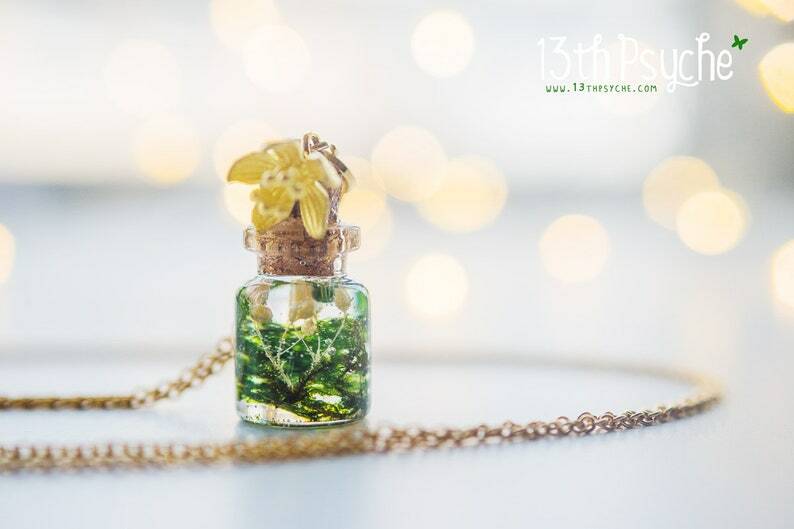 A beautiful handmade super tiny glass bottle necklace filled with real moss and resin. 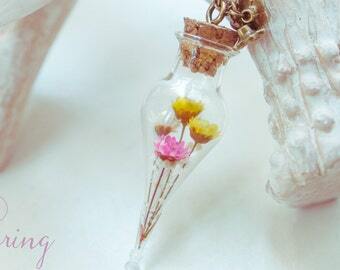 :) It is gracely decorated with a gold plated brass flower. 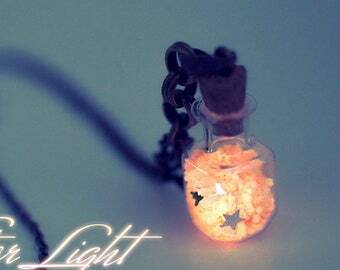 • You can choose between Gold plated brass chain or Gold plated Stainless steel Chain.